Not necessarily in any particular order, these factors affect the decision making process. Some may argue that “brainstorming” is a key part of the planning process and that generating ideas is important to successful planning, do not confuse the two areas. Providing the list of ideas will help you to prioritize your project and the criteria for success. Creation of specific objectives from those goals. So now that we have goals and objectives well-defined, we move on to creating the plan. The first part in determining the various elements to be included in the plan will be a careful dissection of those goals and objectives. For example, our overall goal is to increase sales by 20% over the next fiscal year, our specific objectives included increasing sales by 20%, while maintaining margins at 30% and not increasing costs by more than 10%. Here is clear that the overall goal of increasing sales cannot be achieved successfully, unless it is within the criteria of the specific objectives. In this example the need to ensure costs do not get out of control or margins and profitability will be adversely affected. It really doesn’t matter what project is being planned these factors always apply. 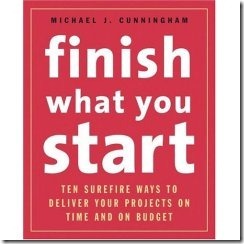 If you start a project and find they are not well defined, then work this issue until they are unambiguous. It is extremely important in the early planning stages that goals, objectives are very clear, and that range of flexibility on costs, budgets and results are agreed. Once these high-level objectives are determined, start to decompose these into lower-level objectives. The lower-level objectives can be viewed as results or milestones and are usually captured in a sequential manner reflecting the order in which they will be completed for the specific project.